The BBC's Connected Red Button service is coming out of beta and getting a rebrand from April. From April, the service will be known as Red Button+. It will be available on a number of Freeview Smart TVs from Samsung, Sony, LG, Panasonic, Sharp, Toshiba and on the EE TV platform, as well as via Virgin Media's TiVo and through YouView boxes connected to the internet. But the service won't be coming to Sky. Red Button+ integrates traditional digital text with enhanced features, including the BBC iPlayer and news and sport in video. The service will also act as a portal to extra videostreams for additional coverage of major sporting events, such as Wimbledon and major music events such as Glastonbury. "We were also conscious that viewers may still want access to the original Red Button content from Red Button+, so we have enabled access to the original Red Button service, just navigate to the settings area and change your preference." This will benefit viewers who want to read pages that aren't yet available with Red Button+. 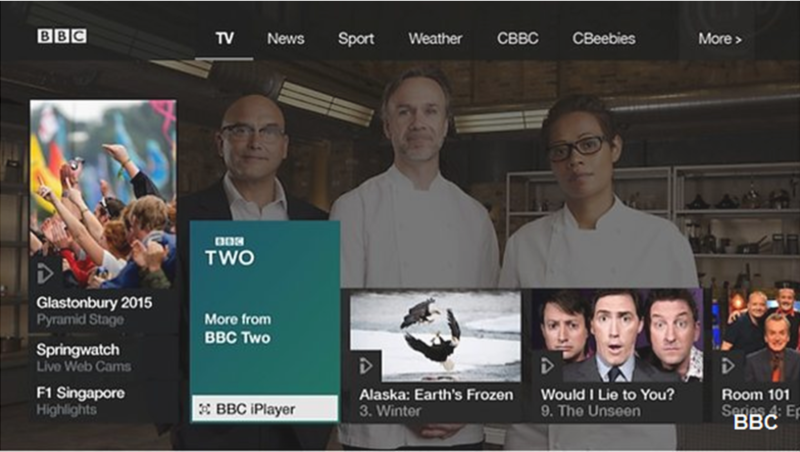 Red Button+ can be accessed from most BBC channels, with the exception of CBeebies HD, BBC Four HD and BBC News HD via Freeview, YouView and EE TV. The BBC has published a list of devices that are compatible with the Red Button+ service, which can be viewed here. Sky viewers will not see the BBC Red Button+ service. The BBC explains that this is "due to technical restrictions beyond our control" and that they "have no current plans to bring Red Button+ to Sky", although the original BBC Red Button service remains available. A broadband connection of at least 2Mbps is required to enjoy the service. For viewers without an unlimited broadband package, use of BBC Red Button+ will count towards their monthly usage cap.